An enchanting addition to a little girl's bedroom, this wonderful bone china clock is adorned with pastel pink fairies. 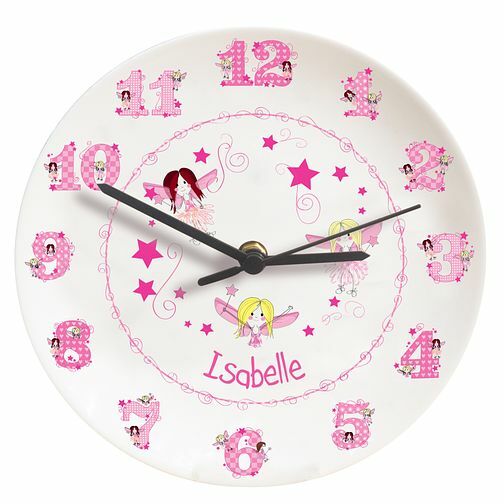 Personalised Fairy Letter Clock is rated 5.0 out of 5 by 1. Rated 5 out of 5 by Anonymous from Personalised Fairy Clock. This clock was bought as a Christening gift for my youngest Great-grandchild. It was sent directly to her home so I have not seen it personally. However, if it proves to be a good buy, I will certainly recommend your products? Also, reasonably priced.